Incidentally went to Spain not knowing that it is his Job Bank place. Starting in just a simple employment. Amancio Ortega Gaona (born March 28, 1936, Spain) is a Galician fashion entrepreneur. 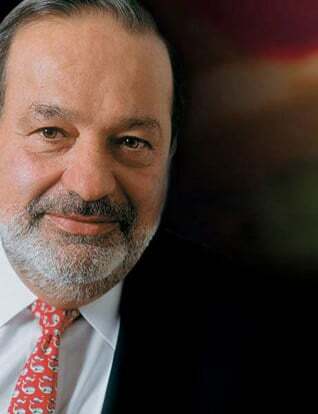 Ranked by Forbes as Spain's richest man and the 8th richest man in the World in 2007. He is the founder, with his then-wife Rosalía Mera, and chairman of the Inditex Group. He currently lives with his second wife in a discreet apartment building in the centre of La Coruña (Corunna). Ortega arrived at La Coruña, Spain, at the age of 14, due to the job of his father, railway worker. Starting as a gofer in various shirt stores in La Coruña, Galicia, in 1963 he founded Confecciones Goa (his initials in reverse), which made bathrobes. 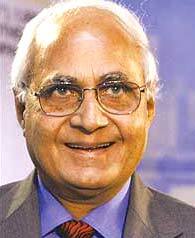 In 1975 he opened the first store in what would grow into the enormously popular chain of fashion stores called Zara. He owns 59.29% of the Inditex group (Industrias de Diseño Textil Sociedad Anónima) which includes the brands Zara, Massimo Dutti, Oysho, Zara Home, Kiddy's Class, Tempe, Stradivarius, Pull and Bear/Often and Bershka and has more than 14,000 employees. Ortega keeps a very low profile and there are practically no photographs of him (except from one photo published at the Inditex website). He refuses to wear a tie, and likes to dress in blue jeans. He is said to take a very active part in the production and design process in the company. When he made a public appearance in 2000 - as part of the warm-up prior to floating his company on the stock market in 2001 - it made headlines in the Spanish financial press. 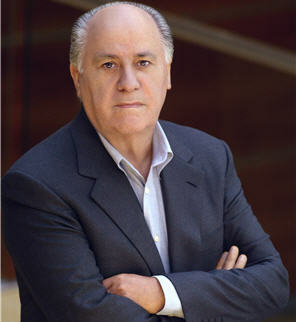 However, he has never given an interview, and his secrecy has led to the publication of books such as Amancio Ortega: DE CERO A ZARA (From Zero to Zara) (ISBN 84-9734-167-8).